Tara Powder is the direct result of the grinding of the Tara Pods. 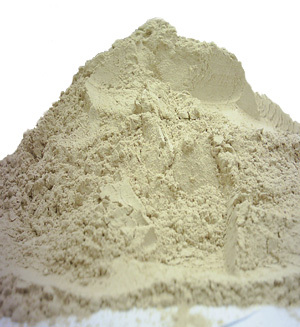 Tara Powder is now mainly used in leather tanning but it is also a source for Gallic acid and its derivative products. Our Fitapor is a lightfast tanning agent intended for the self-tannage or the retannage of the leather. It is a vegetable tannin of the pyrogallic type and is produced from the pods of a Peruvian plant, the Tara or Cesalpinia Spinosa. Fitapor is not an extract and contains some insolubles; however, our unique manufacturing process results in a very fine product with very small particle size that virtually eliminates any potential spotting problem. Fitapor provides superior light fastness and its light/clean color allows for excellent dyeing results. Tara imparts fullness and results in leathers with tight/fine grain and excellent tact. These special benefits make Tara and our Fitapor specially useful in the production of automotive and upholstery leather. We also supply a coarse ground Tara Powder for extraction applications for tannin and gallic acid and derivative products.